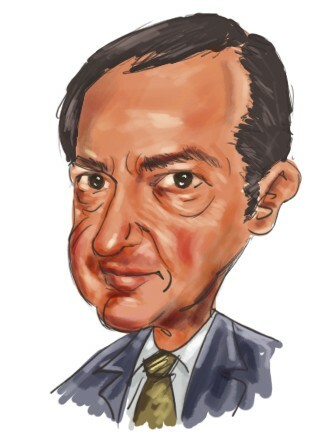 People may say that some well-known hedge funds, such as John Paulson’s fund, suffered huge losses recently. True. Hedge funds are not 100% reliable. However, on the average, hedge funds have an edge over ordinary investors. Despite his terrible performance in 2011 Paulson still made $2 billion in 2010 and 2011 combined. Last year’s most popular stock among hedge funds, Apple (AAPL), outperformed the S&P 500 index by 50 percentage points over the past 52 weeks. Therefore investors should at least take a closer look at a stock when it is favored by a large number of hedge funds. Recently, hedge funds disclosed their latest 13F holdings to SEC. In this article, we are going to discuss the most popular drug manufacturers among hedge funds tracked by us. Pfizer Inc (PFE): PFE is the most popular drug manufacturer among hedge funds. At the end of last year, there were 69 hedge funds with PFE positions in their 13F portfolios. In total, they held $3.5 billion worth of PFE shares (The total market cap of PFE is about $160 billion). The most bullish money manager about PFE was Ken Fisher. As of December 31, 2011, Fisher Asset Management had $471 million invested in PFE. Ric Dillon, Lee Ainslie, and Bill Miller were also bullish about this stock. We think PFE is especially a good option for dividend lovers. PFE’s current dividend yield is 4.16%, more than doubling that for 10-year Treasury bonds. It also has the ability to maintain or increase its payouts as its current payout ratio is 63%. The company also announced a $10 billion share buyback program, $5 billion of which is expected to be completed this year. Pfizer is a mature company that has higher cash flow than its accounting earnings. The cash flow per share has been around $2 per share for the past 5-6 years. This year the stock is expected to earn around $2.25 per share. As a result, PFE’s forward P/E ratio is only about 9.5, versus 16 for the average of pharmaceutical stocks. The stock isn’t expected to increase its earnings significantly though. Hedge funds are attracted to Pfizer because they expect that Pfizer’s planned spin-off of its non-core businesses may unlock some value. Sanofi (SNY): SNY is the second most popular drug stock among hedge funds tracked by us. At the end of last year, there were 62 hedge funds with SNY positions, up from 49 hedge funds at the end of the third quarter. These 62 hedge funds, including Warren Buffett’s Berkshire Hathaway, had $1.15 billion in total invested in SNY, which has a total market cap of about $102 billion. Similar to PFE, SNY is also an attractive option for dividend lovers. Its current dividend yield is 4.74%. Over the past decade, the company raised its dividends from $0.4897 per share to $1.7564 per share. Thanks to its low growth expectation, SNY is currently trading at a discount. Its current P/E ratio is 12.81, versus 18.84 for its peers. Its forward P/E ratio of 8.65 is also a significant discount to 16.04 for the industry average. In April last year, SNY completed the acquisition of Genzyme Corp, a well-known biotechnology company that specializes in treatments for rare diseases. Genzyme had about $4 billion sales for the year before acquisition. As a French company, SNY will be able to gain more exposure to the US market through the acquisition. It will also gain more market shares in the fast growing biotechnology industry. The best thing about Sanofi is that its cash flow per share is more than twice as much as its earnings per share. As a result of its strong cash flow Sanofi was able to acquire Genzyme without increasing its debt load significantly. A few other drug manufacturers that a large number of hedge funds love include Johnson & Johnson (JNJ), Merck & Co Inc (MRK), Abbott Laboratories (ABT), Eli Lilly & Co (LLY), and Bristol-Myers Squibb Co (BMY). At least 30 hedge funds reported owning these stocks at the end of last year. Except BMY, the rest stocks were held by more hedge funds at the end of December compared with the end of September. We agree with the hedge fund managers who sold out their BMY positions over the fourth quarter. The stock seems to be trading at a premium compared with the rest four stocks. BMY’s forward P/E ratio is 16.58, while forward P/E ratios of the other four stocks are all below 12. We do not think it is a good time to purchase BMY but we do recommend ABT, JNJ, LLY, and MRK for conservative dividend investors. They are not only trading at attractive multiples, but also have decent dividend yields of above 3.5%.